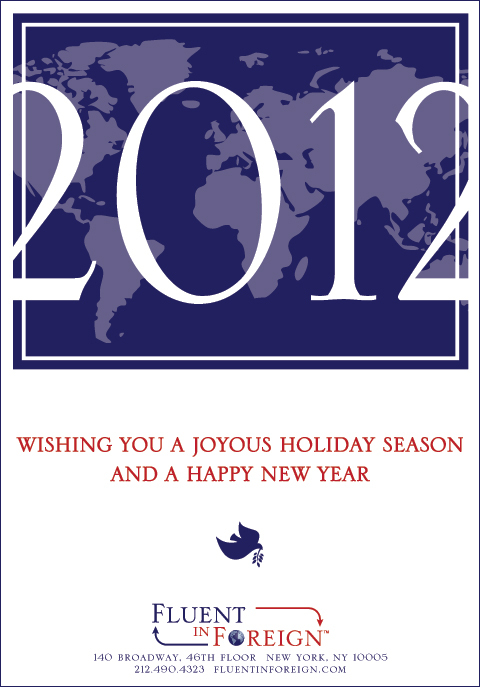 Happy Holidays to the entire Fluent In Foreign Community! Thank you for your support! Does a Hot Market Really Offer Opportunity? As part of my work with the Small and medium businesses wishing to expand abroad, I contribute a series of primer articles to the New York Enterprise Report magazine. This is the latest article to appear in their December issue. Hope you enjoy and as always look forward to your comments. China, Columbia, South Korea, India, Brazil, South Africa, Russia—these headline making countries appear to offer the greatest growth potential. Having experienced strong growth trajectory, these countries are busy developing their infrastructure. Middle-class consumption is on the rise. Yet, any U.S. business seeking to venture abroad should not simply be seduced by the glamour and promises of getting rich quick. You should select target markets primarily on the basis of their fit to your business model, your ability to find a qualified reliable partner in the chosen country, and your ability to offer financing to buyers in order to grow sales. Without the ability to offer financing to your customers, your business will be limited to only those who can pay cash for the goods and services you offer, and that will severely limit the pool of potential buyers. Also, your business will be severely handicapped by the competitors from different countries who may be able to offer financing alternatives to your prospective customers. When we start personal relationships or even choose a spouse, we do so based on multiple factors, compatibility being toward the top of the list. Popularity is usually pretty low on the list of characteristics. Yet, in seeking to expand abroad, many business owners do just that and pursue hot markets. While these hot markets are attractive and definitely should be evaluated, business owners just starting out would be well advised to look at secondary and even tertiary markets in the regions of interest. For example, while they may not be talked about as much, Chile, Honduras, Panama, or Argentina may be a fantastic fit for your business. These countries offer good growth opportunities either because of significant economic initiatives (Panama—canal expansion, Chile—earthquake recovery), or economic development. Mature markets would be those countries with developed economies such as the U.S., EU block, Canada, and Australia. Emerging markets are those that have been experiencing rapid growth over the last two decades—China, Brazil, Russia, Poland, India, and Vietnam are good examples. Frontier markets are those countries with the riskiest investment profiles, but which are beginning to show signs of economic expansion. Included in the group are countries in Sub-Saharan Africa, as well as certain central Asian countries like Tajikistan or Kyrgyzstan. Next, narrow down the list by factoring in geographic locations, and political considerations (think Belarus, Taiwan, and Turkmenistan, which due to their authoritarian, non-US-friendly regimes may be more difficult to break into) and arrive at a top 10 list of candidate countries to study further. From this list, research the countries extensively based on those characteristics that would make them a fit with your company’s products or services. You can do this by scouring the web, as well as contacting the U.S. Commercial Service (http://trade.gov/cs/) in each country, local Chambers of Commerce, bilateral business councils, and international affairs organizations. After this research, select the top three markets and plan to visit them on a scouting trip, because nothing is as helpful in making a decision as making a personal trip. Export credit agencies (ECAs) have been established in most nations to help businesses finance their international operations. The Export Import Bank of the United States (Ex-Im) is the official export credit agency of the United States (www.exim.gov). Ex-Im provides export financing for goods and services produced in the US, along with some local country costs. The US Small Business Administration has a little-known program that lets qualified companies finance up to $ 5 million for as long as a year. The key difference between financing through the SBA and the Ex-Im short-term financing programs is that, under SBA regulations, the credit risk and the responsible party is the exporter, while under EX-IM arrangements, risk and responsibility are borne by the buyer. OPIC financing is available for a wide variety of industry sectors and projects, but it is a very complex and nuanced option for exporters. There is an alphabet soup of IFIs, such as development banks EBRD, ABRD, IDB, and the IFC, that have even more stringent requirements than OPIC. They generally finance up to a third of a project’s cost, and syndicate the remainder among a group of banks. Author Information:Alexander Gordin is the managing director of the Broad Street Capital Group, New York, a private international Merchant Bank, Trustee of the Princeton Council of World Affairs, and author of the recently released book, Fluent in Foreign Business. To continue building on the last week’s “U.S. Must Focus on Exports” article , which called for U.S. businesses and government to systematically address export development, this week’s post presents discussions by the experts of the Wall Street Journal CEO Council on what needs to be done to stimulate comprehensive export effort on a national scale. Educate their workforce on the intricacies of doing business abroad and prepare qualified trade and development specialists. Finally, our platform provides a comprehensive portfolio of Financing tools, which greatly simplify international expansion and allow companies to grow their foreign sales while minimizing risks of non-payment. The U.S. faces a tremendous trade gap. What can Washington and the private sector do to fire up the export engines? The Wall Street Journal’s David Wessel moderated the task-force discussion on the topic. 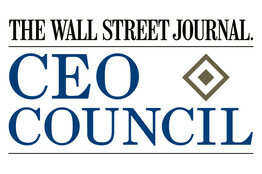 Here are edited excerpts of the presentation of its priorities to the CEO Council. DAVID WESSEL: We had a very good discussion about the obvious need for the U.S. to strengthen its exports of goods and services if we’re going to rebalance the world economy. 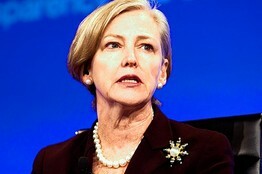 Ellen Kullman, Chairman and CEO, DuPont Co.
FRANCISCO D’SOUZA: Only 1% of U.S. firms today are exporters. In a sense, U.S. firms have never had the export muscle—or to the extent that they had it, that muscle has atrophied over time. The first recommendation is creating a mind-set within U.S. businesses of the importance of exports and really moving away from the notion that all products and services are created equal. Products need to be tailored for local markets, and U.S. firms need to engage deeply in local markets around the world if they would like to be net exporters. They should also encourage workers, U.S. citizens, to go spend time around the world. We felt that was necessary in order to truly be able to participate in the local market. Finally, there was a feeling in the group that small and medium-size businesses particularly in the U.S. just don’t have the resources and capability to understand the nuances of local markets around the world. Government can play a role there, to create a support structure and an ecosystem to assist small and medium-size businesses to get their products and services into markets around the world. ELLEN KULLMAN: The second recommendation is what the U.S. government can do in helping expand trade and hence exports. Two areas that we focused on were intellectual property and transparent trade practices. Intellectual property, counterfeiting, enforcement are big issues around the world. It is something that we spend a tremendous amount of resources on in my company. Our exports are lower because we are constantly being knocked off by counterfeiters in various countries. There’s a lot that can be done, whether it’s through the World Trade Organization, trade agreements or investment treaties, to level that playing field and get a standard around intellectual-property protection and enforcement. To ensure growth, U.S. businesses should recognize the importance of developing foreign markets, including locally based products and services. They should set targets and goals for increasing participation in foreign markets and encourage more U.S. nationals to live abroad for a period. Government can help by providing support and education to smaller and medium-size businesses to increase their exports. A key to enhancing U.S. exports is to develop consistent international standards—and international enforcement—for protection of intellectual property through investment treaties, trade agreements, the World Trade Organization and law-enforcement cooperation. A U.S. priority should be to encourage partners such as Brazil, Russia, India and China to comply with government-procurement rules and to initiate a global investment framework to create more transparency and consistency. The U.S. should replace its current world-wide tax system with a territorial system to encourage companies to invest repatriated earnings into long-term investment. The U.S. should also lower the statutory corporate tax rate to globally competitive rates, and create certainty around the R&D tax credit. From K-12 through college and advanced-degree programs, the U.S. must improve the skills of workers to aid in export growth. This includes the promotion of technical careers for young people. The U.S. should also encourage the immigration of the best and brightest from around the world. The second area is transparent trade practices. Government procurement roles come into play there. Do other governments have transparency when it comes to making their purchases, and should that level playing field be there? That creates more opportunities for companies in the United States to participate there. The next recommendation we talked about was the U.S. tax system, which creates a disadvantage for U.S. companies that operate on a global basis. We need to have comprehensive tax reform. My competitors, many of your competitors, are increasingly global or foreign and operate under a very different tax regime—a territorial regime. If we could create one in the United States, that would help U.S. companies bring their offshore earnings back, hopefully to invest in U.S. manufacturing. We believe that is a much more competitive system globally for our companies. We could argue what the rate should be, but it needs to be lower than today. That’s something that we think has to be benchmarked globally. And the complexities have to either go away or we have to create certainty around them. For instance, the R&D tax credit is one that we struggle with. This time last year, it wasn’t clear that we were going to get the R&D tax credit for the year 2010. How can we make decisions on what jobs that tax credit could help create or investments we could make if every year it is discussed and decided whether it comes in? We believe that certainty and the level playing field of a territorial system would go a long way to allow us to compete in the world. We do believe that will help expand exports. 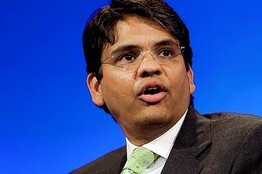 MR. D’SOUZA: The last recommendation is the issue of human capital. It became clear that where we can be most successful in exports is in high-value, complex manufacturing, high-value goods and services. The raw material many times behind that is talented people to create these high-value goods and services. We felt that there’s a need to look at the whole human-capital chain, starting from K-through-12 education. We need to reform that and create more of an emphasis on STEMs—science, technology, engineering and mathematics—careers. On the other side, we need to look at reshaping the U.S. immigration system to allow the best and the brightest to come to the United States, build their careers and their lives here.